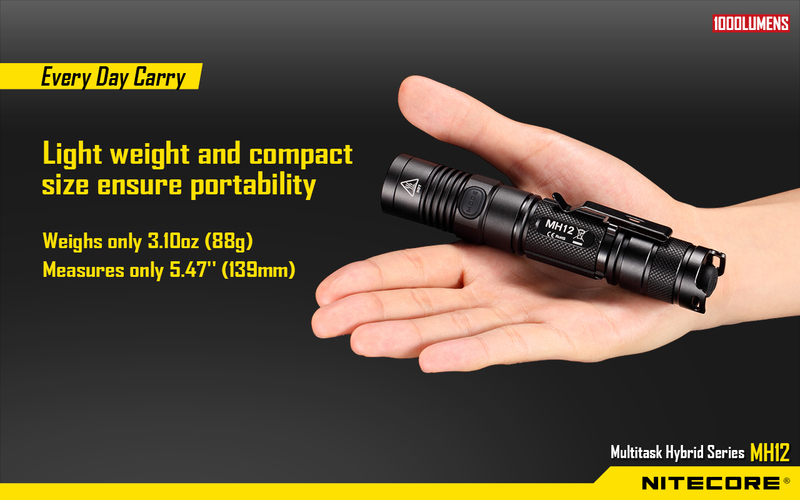 These MH-series lights are distinguished by their in-light USB battery charging feature. 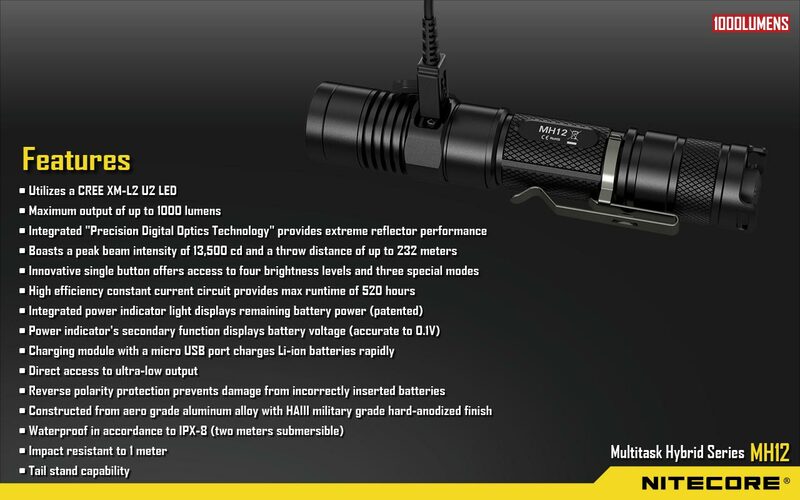 These MH-series lights are distinguished by their in-light USB battery charging feature. 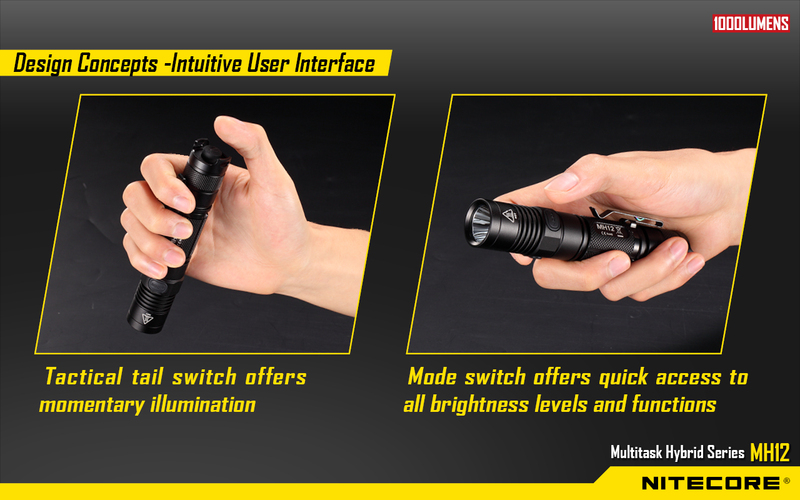 Evolved from P10, P12 and EC20, these new members of the Multitask Hybrid family have some exciting features to show off. 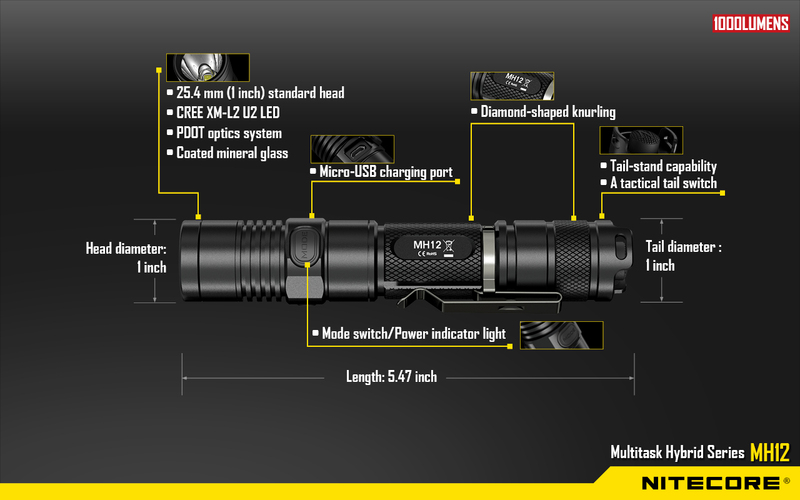 Today we are reviewing the Nitecore MH12 USB Rechargeable Flashlight. 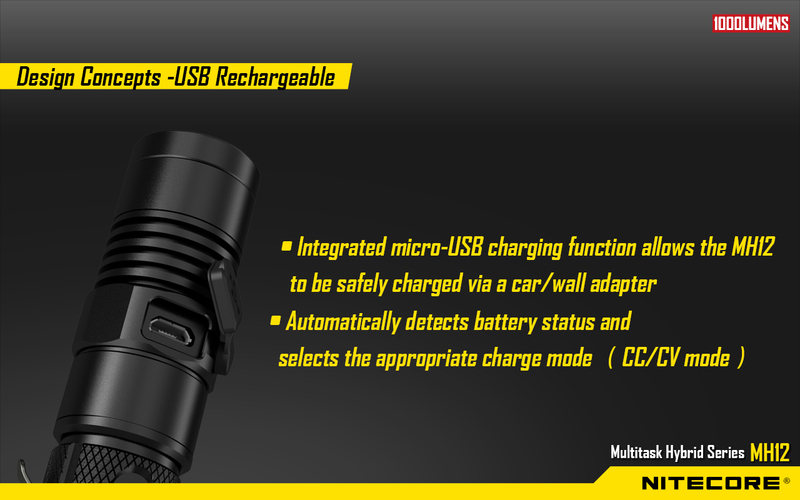 Today we are reviewing the Nitecore MH12 USB Rechargeable Flashlight. 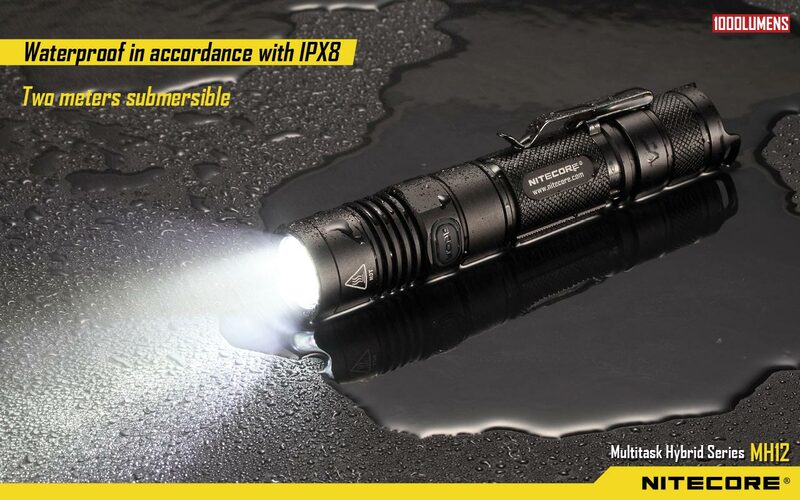 It's a good performer but with some quirks. Find out what they are now! 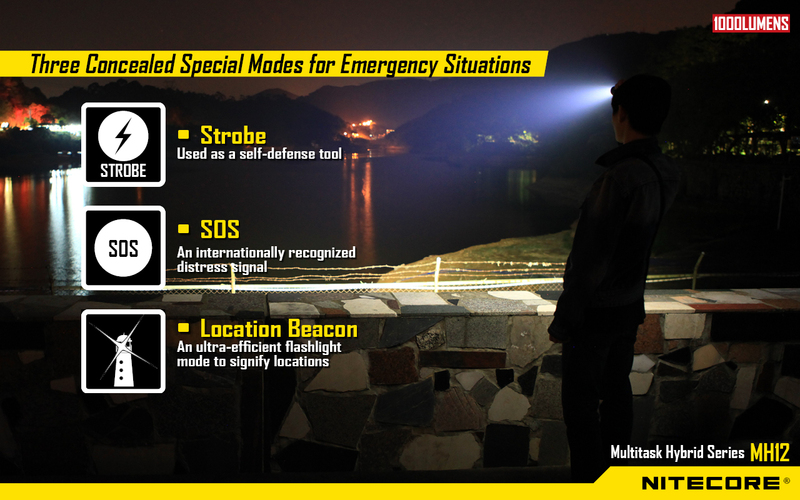 User-friendly lights: that is what these ones are made for. 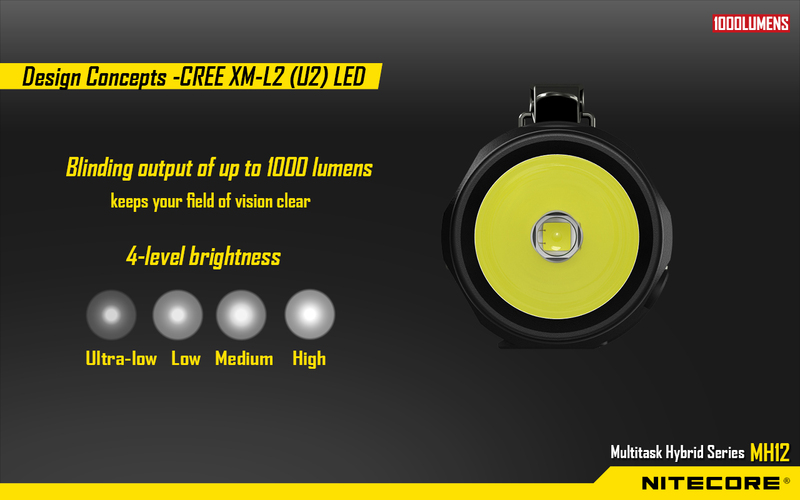 User-friendly lights: that is what these ones are made for. 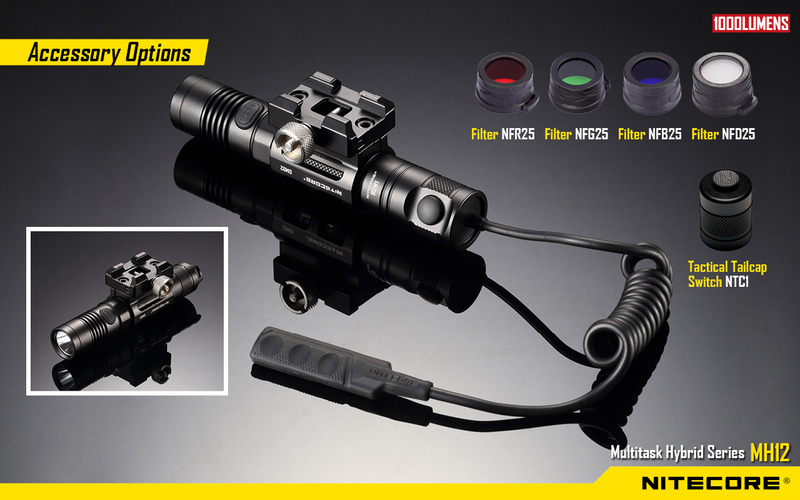 Everywhere to charge, easy to operate, and just enough, well-spaced modes. 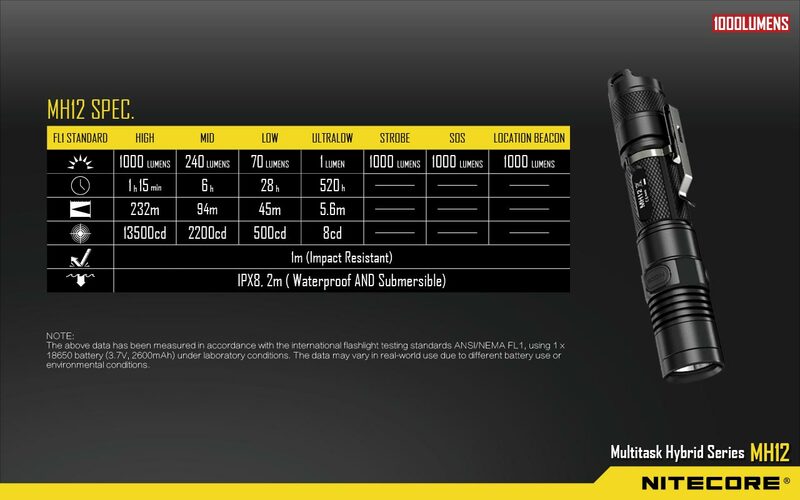 The output specs are the same, only there are some slight differences in shape. Which one of these will be the favorite? 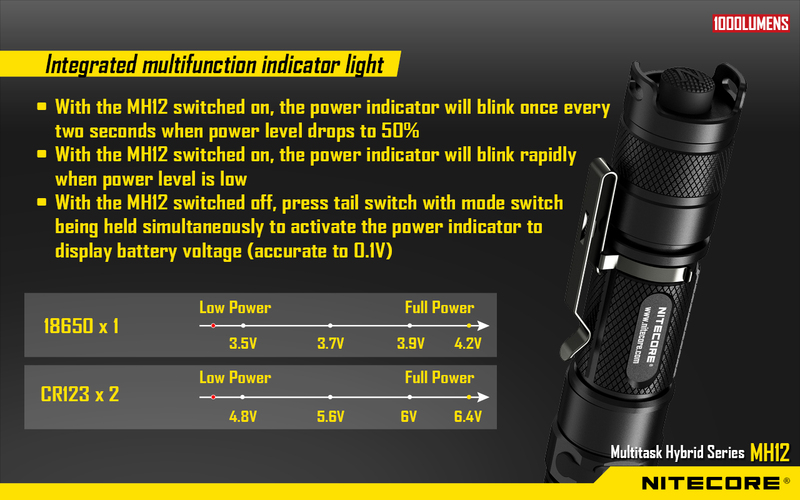 Let’s have a look at both lights and compare them also the some competitors. 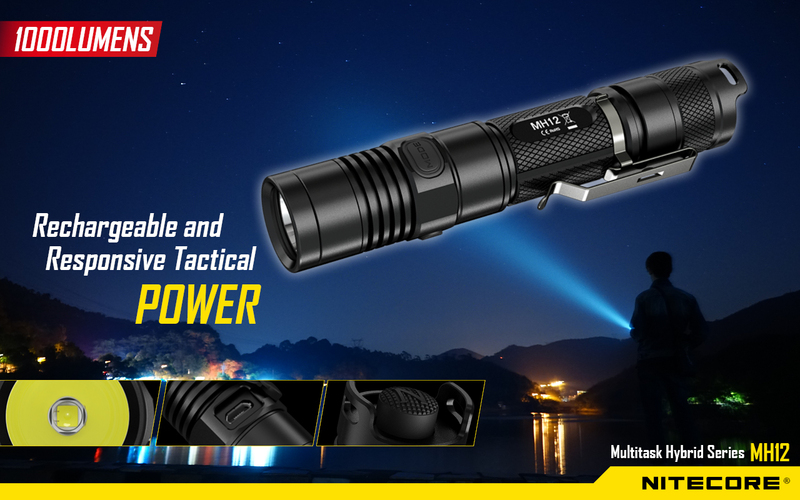 MH41 emits 2150 lumens with a quad-die CREE XHP50 LED, and features protected charging port, making an unrivaled versatile tactical flashlight.